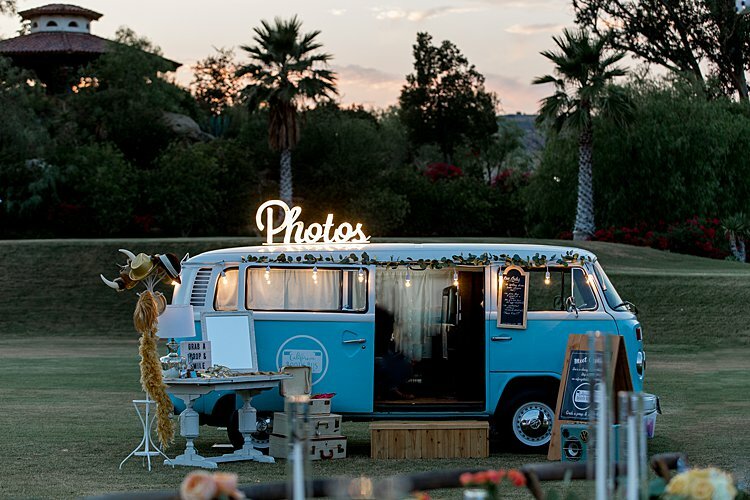 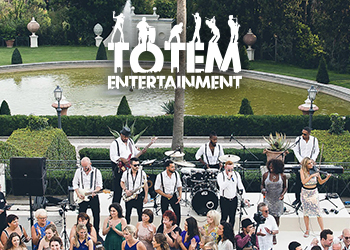 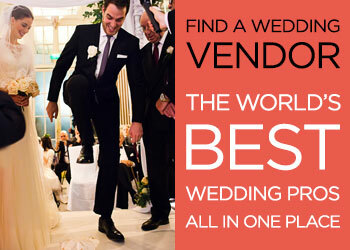 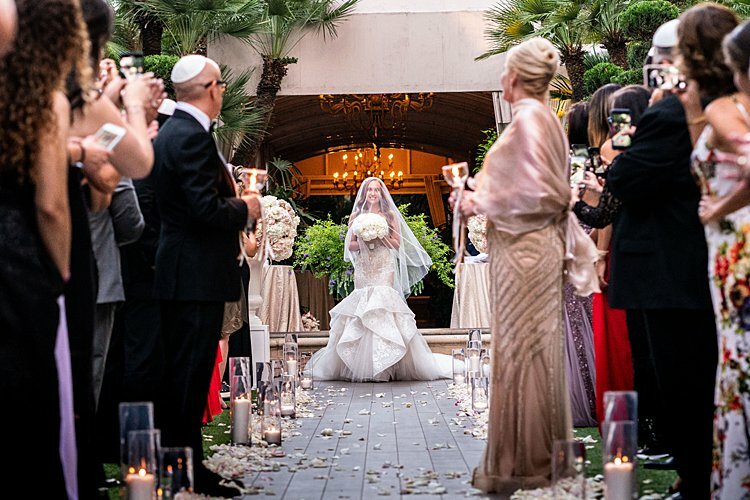 What happens when some of LA’s, scratch that – the world’s finest wedding vendors come together? 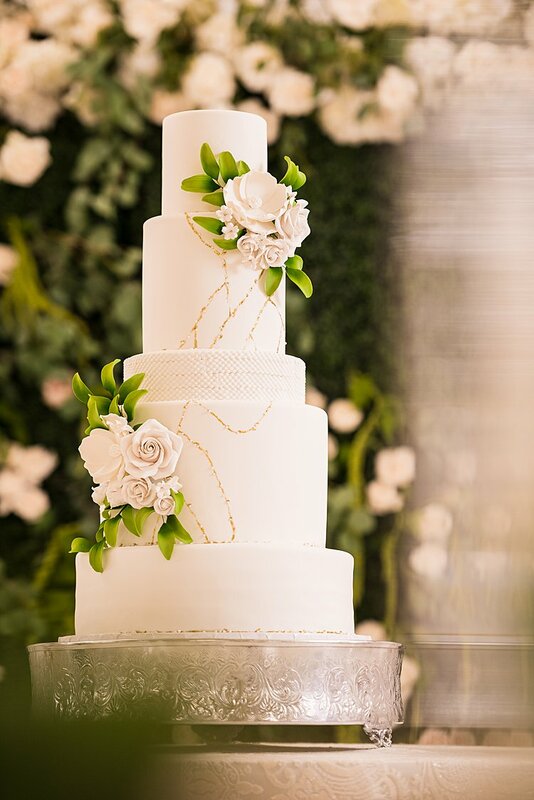 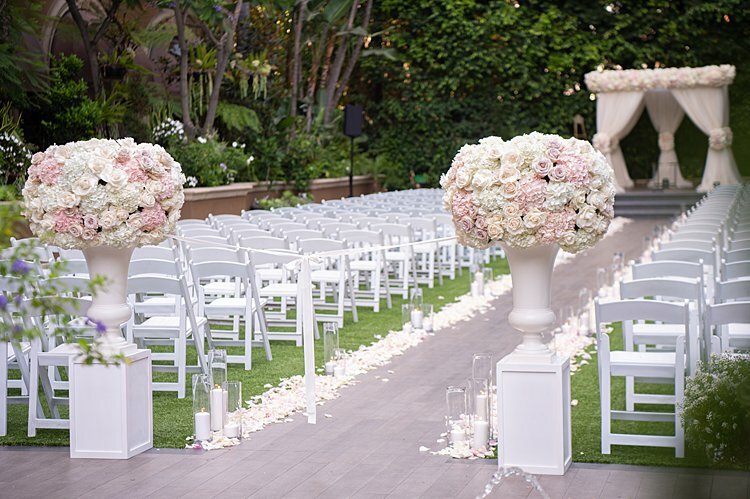 A visual feast of classically elegant wedding wonderment, that’s what! 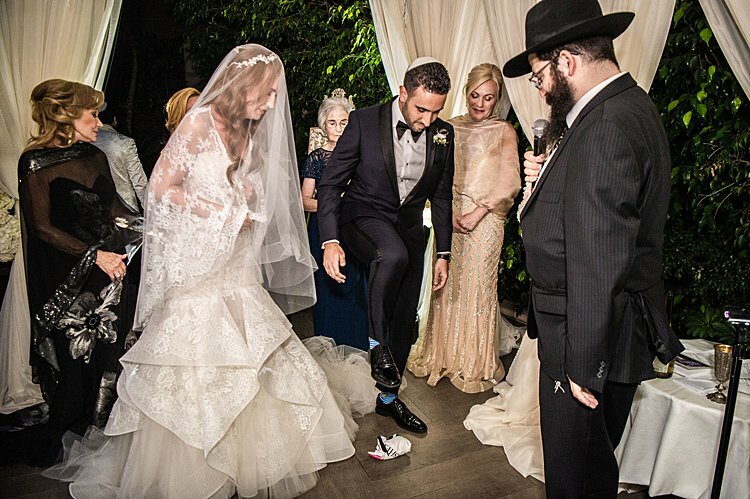 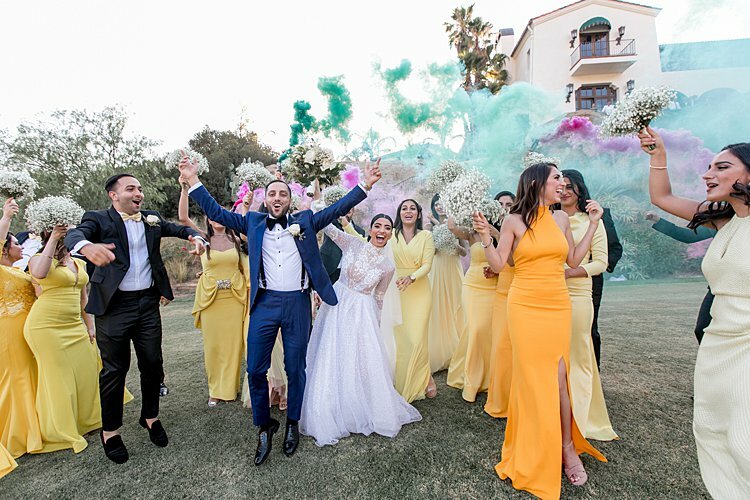 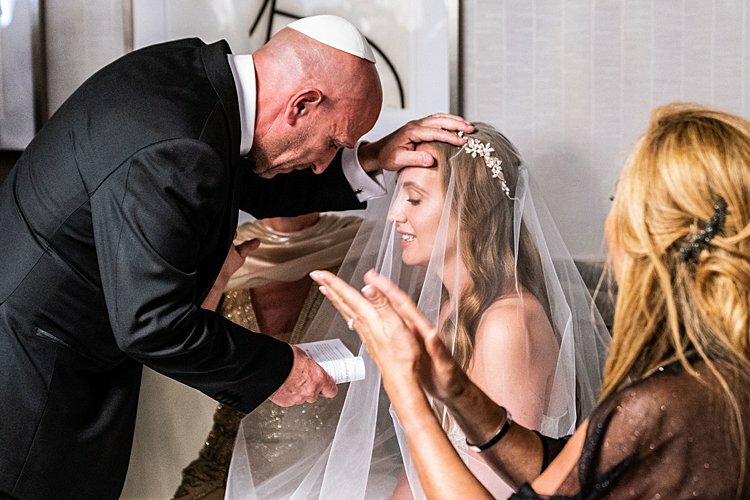 Alina and Raphael’s super luxe Jewish wedding was the very definition of what a divine wedding looks like – down to every last detail. 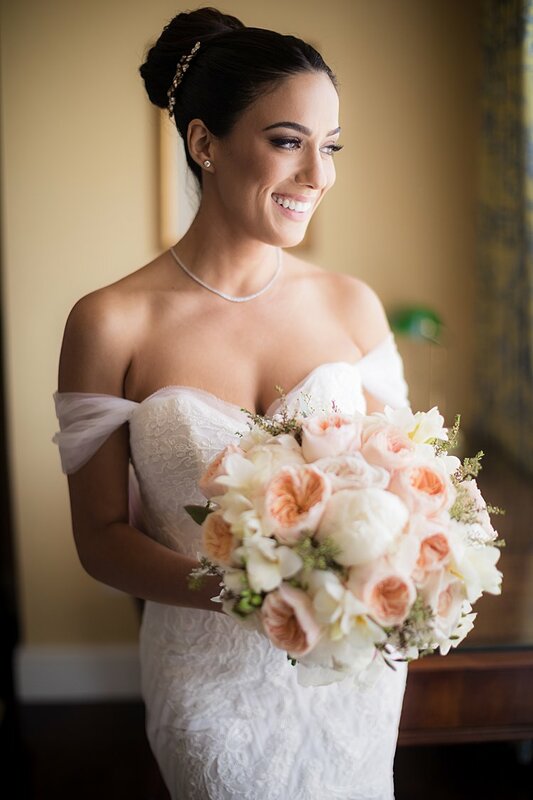 Let’s start with bride Alina’s sophisticated and timeless style. 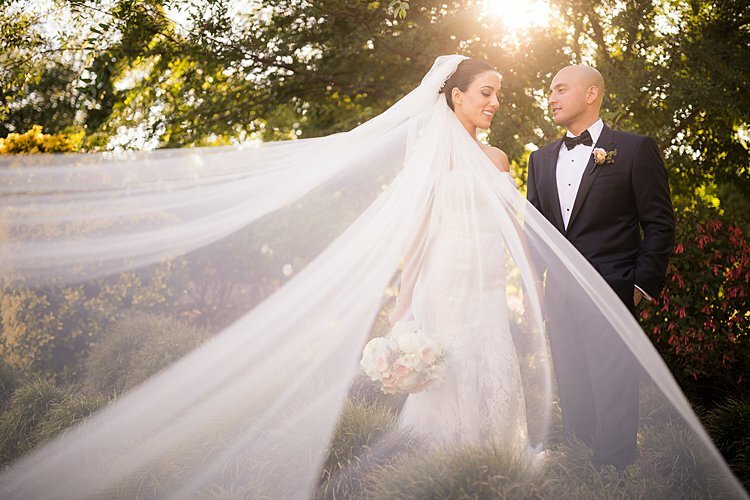 She looked straight off the red carpet in her breathtaking off-the-shoulder Ines di Santo gown. 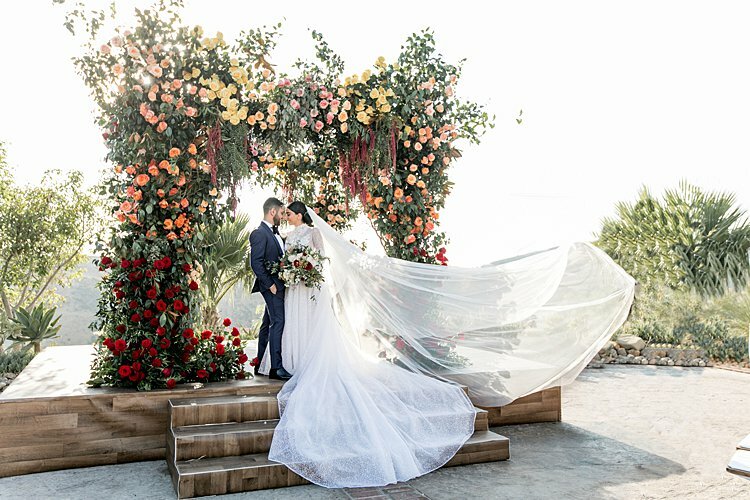 We had the immense pleasure of interviewing Ines Di Santo for a Facebook Live, which is an absolute must watch if, like us, you’ve fallen in love with her work. 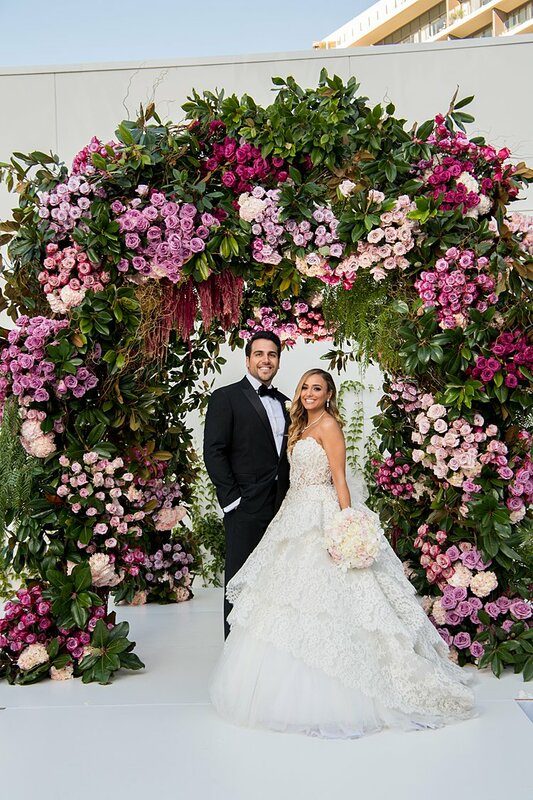 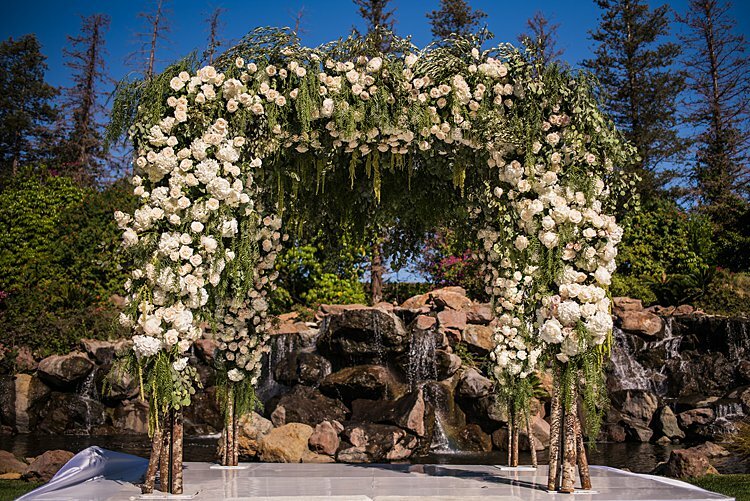 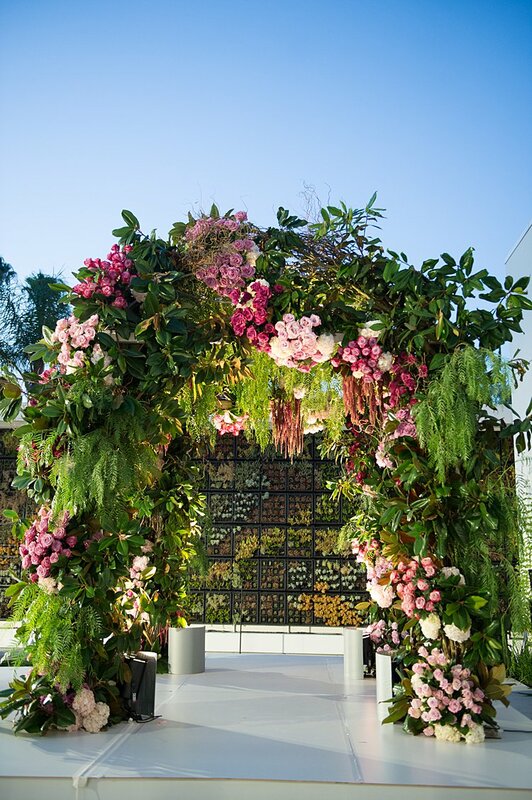 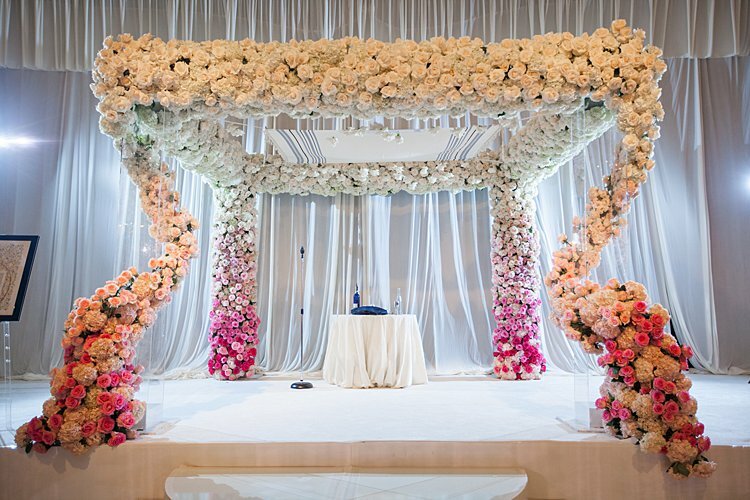 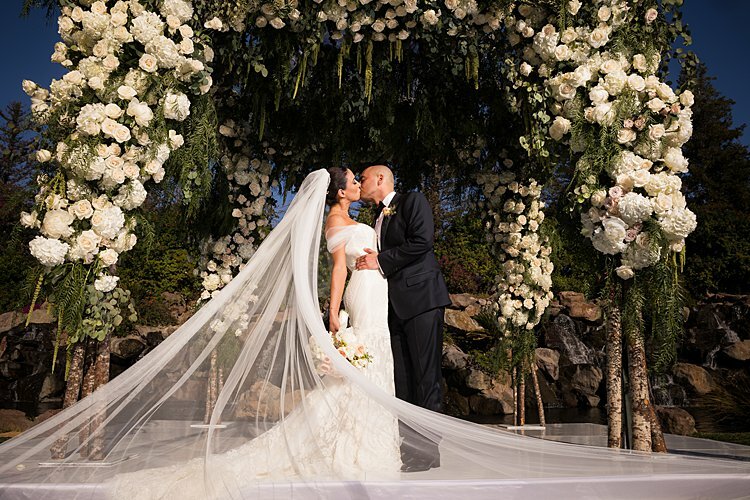 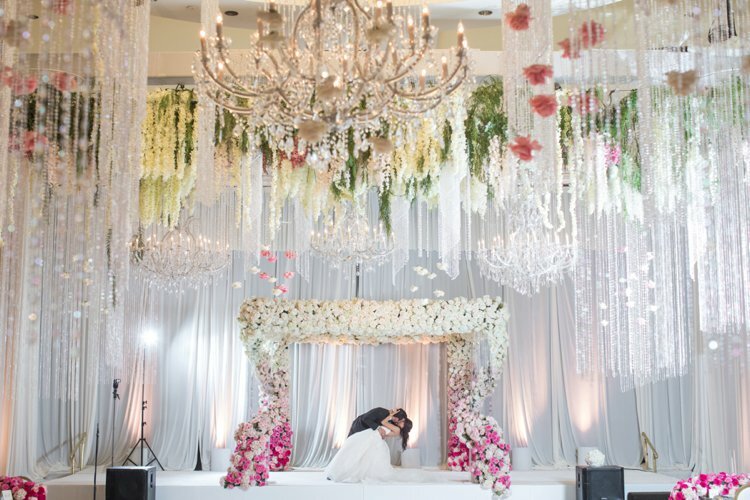 We have also featured outstanding florist Butterfly Floral in several past real weddings, and, as you can see from that INSANE ethereal garden-look chuppah, there’s a very good reason for that. 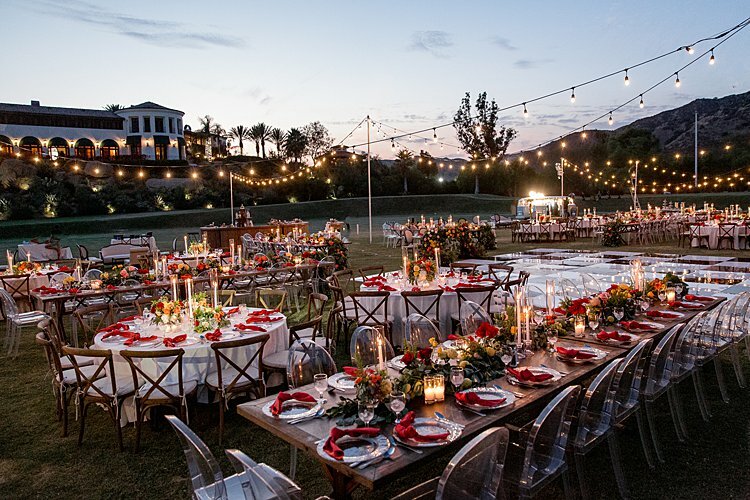 A wedding this spectacular could only have been brought together by a top-tier planner, and they don’t make ’em better than the unstoppable Delicate Details who, you’ve guessed it, has featured on the STG pages several times before (and is also offering all our STG Members Club Brides an exclusive 10% discount!). 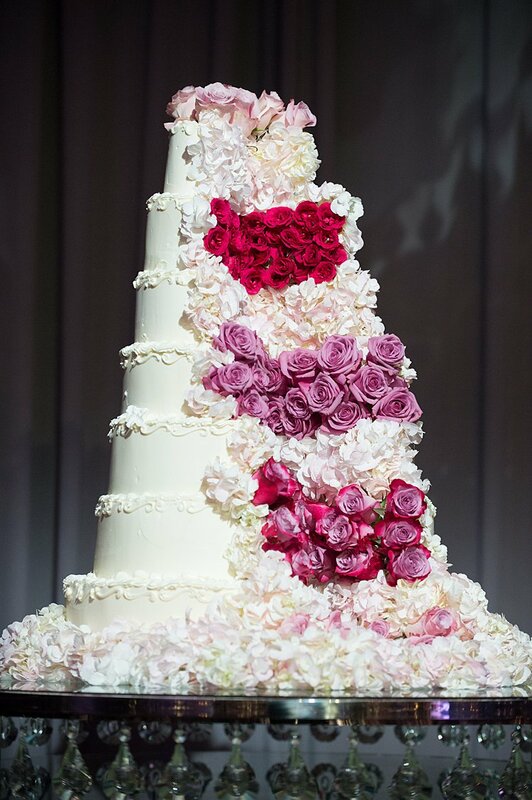 I think we can all agree that Maryam outdid herself! 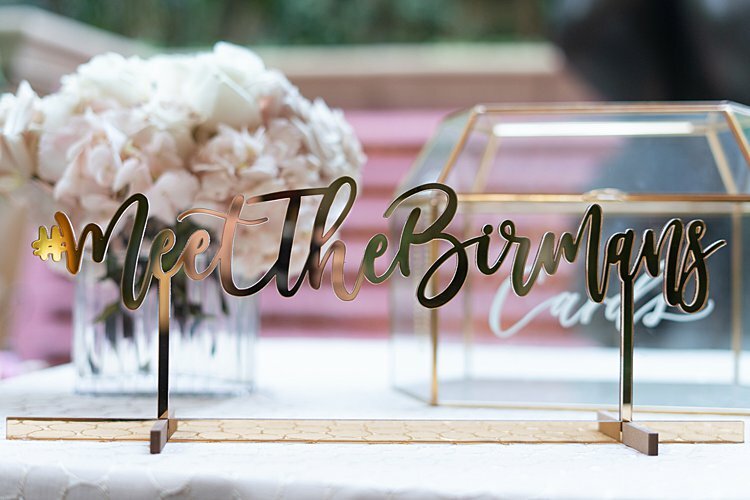 It’s also very hard to do capturing a wedding of this calibre justice, but just LOOK at these absolutely phenomenal images by ridiculously talented photographers Lin & Jirsa (also offering our STG Members Club Brides a very special gift!). 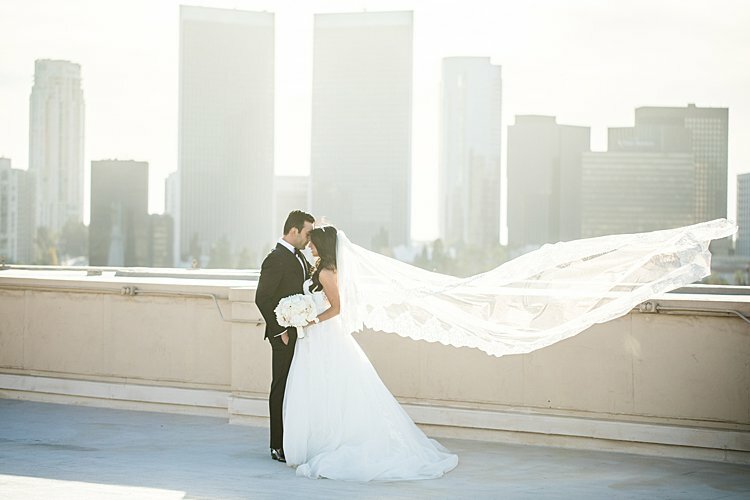 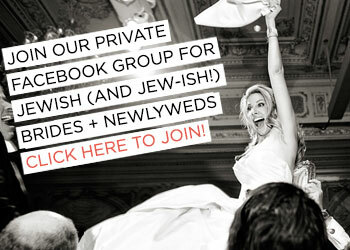 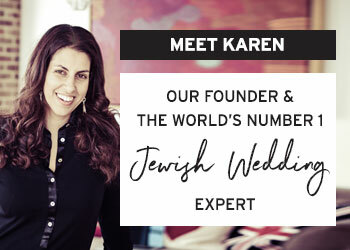 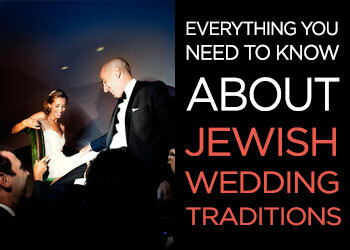 Everything is amazing about this big day, but those under-the-chuppah shots are out of this world! 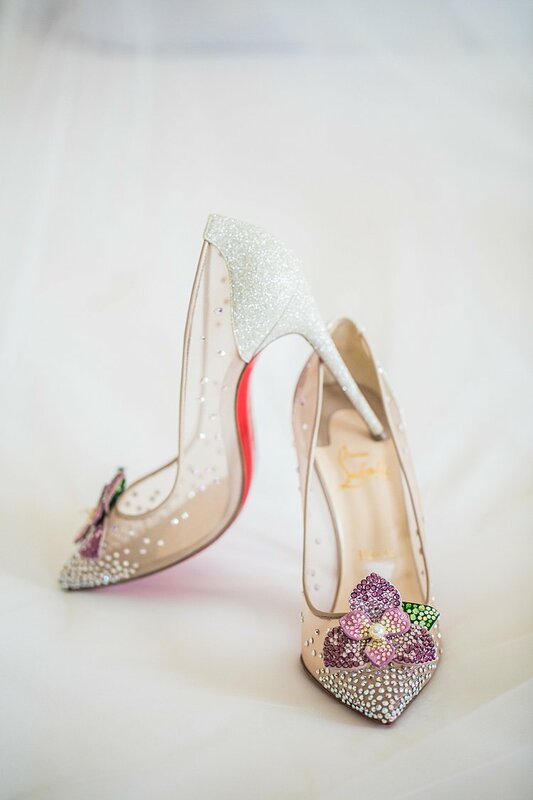 We’ll leave you now with Alina’s awesome write up. 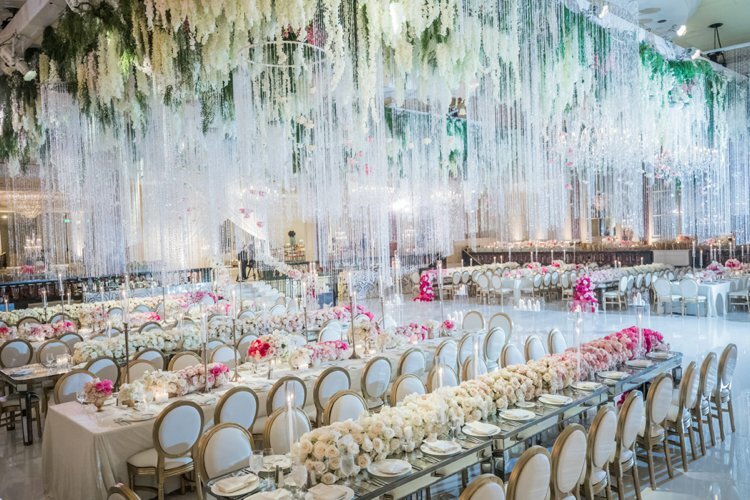 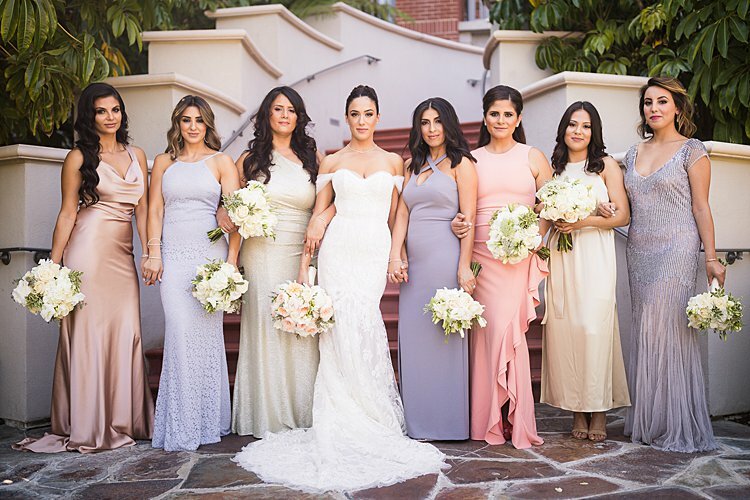 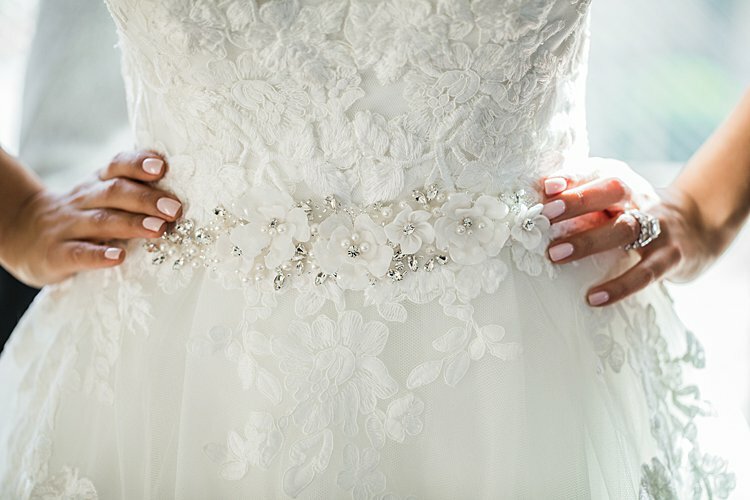 A warning – you are going to want to steal every single detail about this stunner of a wedding. 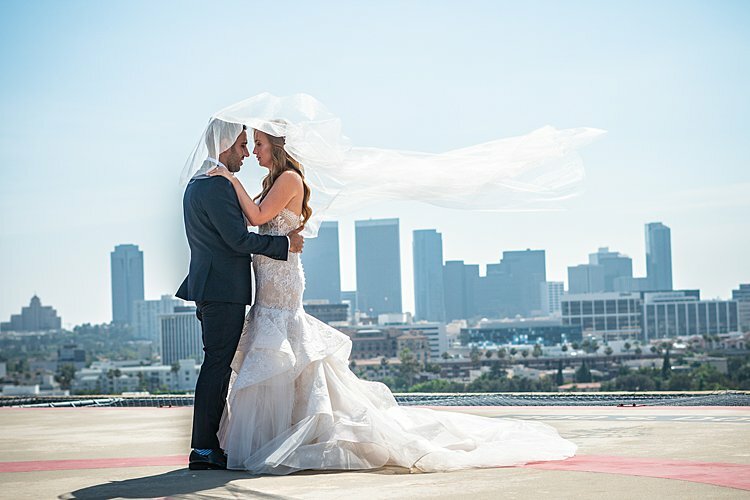 Alina, the bride: We met at a mutual friend’s birthday.